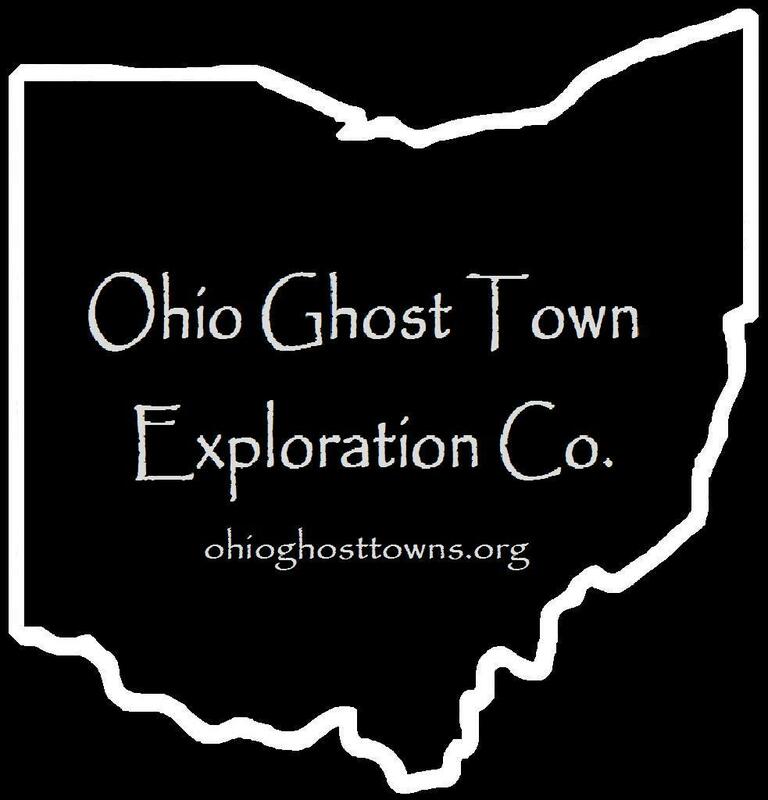 Adams County – Ohio Ghost Town Exploration Co. Featuring 3 towns with 7 pictures from Adams County, along with historical research of their stories, “Restored Ohio” is scheduled for release on April 29, 2019. It’s the sequel of “Abandoned Ohio” (2018) & shows a different side of what physically remains of Ohio’s past. Many of the locations operate as businesses such as restaurants, hotels (former stagecoach stops), museums, & working mills. Description: The post office was originally at Campbell’s Mills on Buck Run & operated out of a private residence in later years. Description: The town was founded by Thomas Burkitt (1763 – 1836) & Polly (Wheeler) Burkitt (1766 – 1820). Both were buried in the cemetery. Description: Elisabethtown had 96 lots on 7 streets platted by James V. McNeil (1833 – 1913). It appears that few of the lots were ever sold & improved. James was buried in Cherry Fork Cemetery on SR 136. Description: Evergreen’s main industries were farming & livestock raising. Description: It was founded by Richard Fristoe (1805 – 1885) & Anna (Sample) Fristoe (1805 – 1897) who were farmers & livestock dealers. They were buried in Locust Grove Cemetery on SR 42. Description: It was founded by Greer Grimes (1803 – 1888) & Sophia (Smith) Grimes (1805 – 1893). Their 400 acre farm was purchased from uncle Noble Grimes’s estate. Greer was also a banker. Description: Irvington was a farming & railroad town which sat on the Cincinnati, Portsmouth, & Virginia Railroad. Description: It was a stagecoach stop town platted by Revolutionary War veteran John Killin (1758 – 1844) who also ran the tavern & inn. John & Rachel (Harper) Killin were married by Justice Of The Peace Noble Grimes. John was buried in Pumpkin Ridge Cemetery (West Union Village Cemetery) on S Cherry St (Pumpkin Ridge Rd). Description: The town was named after the McCarty family in the township. Some of the members were buried in the cemetery. Description: The original proprietors were Archibald C. McCullough (born c. 1815) & Sarah (Elliot) McCullough (1820 – 1862). Archibald was a carpenter & farmer. They were buried in Tranquility Cemetery on Old SR 32. The town land stretched north along Ohio Brush Creek from the Cincinnati, Portsmouth, & Virginia Railroad. Description: The proprietors were descendants of Methodist minister Reverend Joseph Moore (1754 – 1824) & Rebecca (Foster) Moore (1755 – 1838). They were buried in Manchester IOOF Cemetery on Cemetery Rd in Manchester. Description: It was a farming & religious town founded by Presbyterians. Description: It was a farming & religious town. Description: It was founded by Simon Osman (1808 – 1876) who was stabbed to death by members of the Easter family on the former wooden “Bloody Bridge” crossing Ohio Brush Creek on SR 125. His sons later took over proprietorship of the town. Description: Palestine was a stagecoach stop town first settled in 1800 by Revolutionary War veteran Peter Wickerham (1756 – 1841) & Maria (Platter) Wickerham (1767 – 1839). They built the first brick house in the county which served as a tavern & inn & platted the town in 1837. They were buried in Locust Grove Cemetery on SR 41. Description: Plum was a farming & railroad town which sat on the Cincinnati, Portsmouth, & Virginia Railroad. Description: The town was established in 1842. Description: Washington was platted with 84 lots in 1800 by Noble Grimes, who was a justice of the peace & owned 1,000 acres. The town also had a large log courthouse & jail & was intended to be the future county seat, but West Union won that contest in 1803. Washington didn’t last much longer. Noble was buried on the farm’s “river hill”. Brush Creek Furnace was the first blast furnace in Ohio. It was built next to Cedar Creek in 1811 by Archibald Paull (1793 – 1854) & a Mr. McNichol from Pittsburgh, Pennsylvania & employed over 200 local residents. There was also an iron forge that was located where SR 125 crosses Brush Creek near SR 348. The town of Brush Creek had a post office from 1818 – 1824, the forge had one from 1834 – 1835, & the furnace on Cedar Creek had one from 1833 – 1840. Iron production stopped in the late 1830s due to competition from cheaper fueled furnaces & the iron supply in the area nearing exhaustion. The remaining residents changed its name to Cedar Mills shortly after that because the local mills were still in operation. The Cedar Mills post office ran from 1868 – 1909. Brush Creek Cemetery is about 3 miles north of where the furnace was, close to the intersection of Cedar Mills Rd & Steam Furnace Rd. An abandoned bridge crossing the creek was constructed in 1924 by the Champion Bridge Company of Wilmington, OH. Revolutionary War veteran Peter Wickerham (1756 – 1841) & Maria (Platter) Wickerham (1767 – 1839) moved from Pennsylvania to Ohio in the late 1790s. They purchased a farm at the intersection of State Route 41 & Adkins Road. Back then, that portion of SR 41 was part of Zane’s Trace, an early pioneer road that stretched from Wheeling, West Virginia to Maysville, Kentucky. Realizing the importance of the location they chose to settle, Peter & Maria constructed the first brick house in the county in 1800 – 1801 with the idea of turning it into a tavern and inn for weary travelers along the road. They platted the town in 1837. It had a school, blacksmith shop, & a church. The inn was the only continually successful business in Palestine. It remained in operation until about 1850 & was used to help escaped slaves hide out on the Underground Railroad. Morgan’s Raiders, a Confederate Army cavalry unit, rode through Palestine on July 15, 1863 during the American Civil War. Some of its soldiers stayed at the Wickerham Inn before continuing on their journey. Peter & Maria had 9 children and were buried with relatives in Locust Grove Cemetery at the intersection of State Route 41 and Cemetery Rd north of the inn. The cemetery was established in 1800 & the town of Locust Grove was platted in 1835. Palestine couldn’t keep up with the growth of Locust Grove in the late 1800s. The same was the case with Peebles, which was platted to the south of Palestine in 1881 and quickly boomed with a newly laid railroad rolling through that area. Palestine didn’t have any accommodations at the time to attract travelers or more residents and faded out of existence in the mid 1900s. Shortly before the town disappeared from maps, a local legend resurfaced & still captures the attention of readers and listeners to this day. An old tale of the inn being haunted suddenly regained relevance nearly a hundred years after its origin. As the story goes, a stagecoach driver who was thought to be carrying a large sum of cash was murdered in the upstairs room he rented for a night, but his body was never found. Reports by locals & travelers of seeing a headless man in the window of the room were usually dismissed as a ploy to draw more visitors to the inn and town. In 1922 while the inn was getting renovated, workers moved limestone slabs of the basement floor and discovered a headless skeleton underneath them. It’s considered by many to be the most likely haunted building in the county. The Olde Wayside Inn at 222 W Main Street was initially called the Bradford Tavern. It was built in 1804 by General David Bradford, the same year West Union was founded. He achieved the rank of general in the Ohio Militia and was a smart entrepreneur. On top of running the hotel & tavern, David also operated a stagecoach service along Zane’s Trace from Maysville, Kentucky to Chillicothe, Ohio. It always stopped at the Wayside Inn & gave him a leg up on the local competition with places such as the Wickerham Inn & Revolutionary War veteran John Killin’s tavern at Killinstown, just a few miles east of West Union on State Route 125. The Bradford Tavern was sold a few times over the passing decades of the 1800s. It was called the Marlatt House in the 1840s-1850s. From 1860 to the mid-1880s the inn was owned by John Crawford & went by the name Crawford House. John paid J.A. Caldwell, a well-known map publisher, to put an engraving of the building in the 1880 Illustrated Historical Atlas Of Adams County, Ohio. William and Grace Lafferty purchased the tavern in 1936 & renamed it the Olde Wayside Inn. The current proprietor, Teresa Witten, is maintaining the tradition of keeping the building in operation.